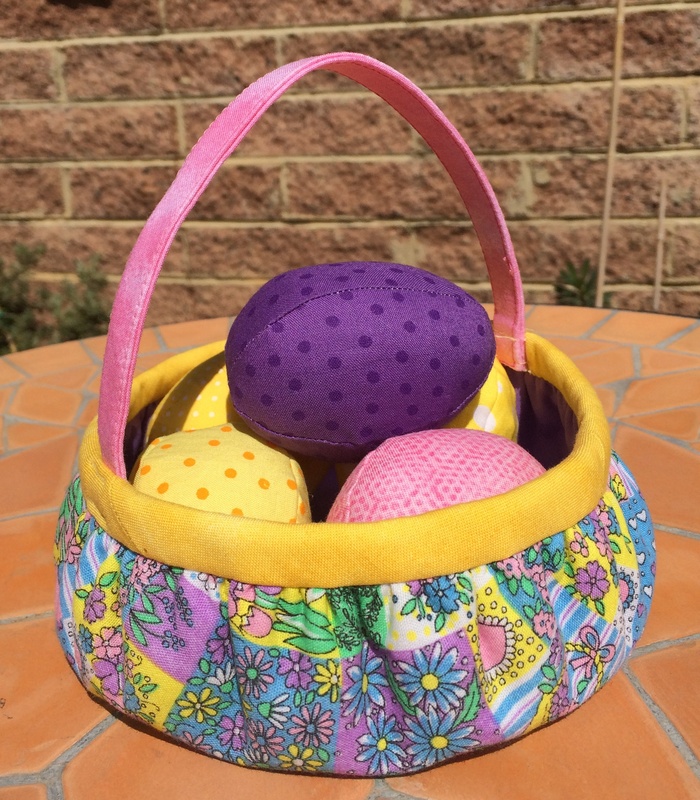 It is almost Easter and I made some eggs earlier this week for my Easter basket that I made about a month ago, the tutorial is on my tutorials page. I used a pattern I stumbled across while I was doing some blog reading last week. The pattern is by Retromama and the link to the pattern is here. Have you done any Easter crafting this week? The rest of the sewing I have done this week is working on a new pattern that I will share with you later. Happy Easter and don’t eat to much chocolate. Take care!